Less than three weeks ago, a 2,100 ft² house on a 3,350 ft² lot in east Vancouver sold for $2.2 million though the asking price was $1.6 million. The Real Estate Board of Greater Vancouver said February sales were 20% above the 10-year sales average for the month and the average price for a single family detached property in Metro Vancouver is over a million dollars. Houses are routinely selling 100 to 200 thousand above asking price. Two weeks ago, a modest 60-year-old home near my North Vancouver residence sold for $1 million, also above the asking price. In other words, the residential real estate market in urban British Columbia is hot, hot, hot. 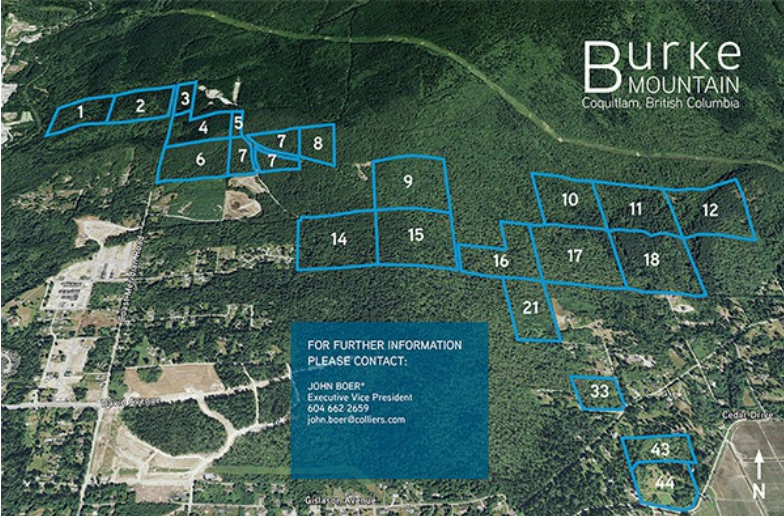 In the Burke Mountain area, small building lots are listed over $600,000. Yet, the Province of British Columbia made a hurried deal to sell vast tracts of residential property at a fraction of appraised values. The buyer is a company controlled by Hassan Khosrowshahi, a large BC Liberal contributor. The responsible Minister? None other than Amrik Virk who was party to a scheme that demonstrated minimal dedication to protecting taxpayers’ financial interests. NDP Advanced Education critic David Eby is questioning why Premier Christy Clark is keeping Amrik Virk as the minister responsible for British Columbia’s post-secondary system after the release of a damning report related to Virk’s actions on the board of Kwantlen Polytechnic University. NDP Leader John Horgan said Virk should be dumped from cabinet. “Mr. Virk has demonstrated bad judgment not once, not twice, but three times and it’s probably time for him to get out of cabinet,” he said. John Horgan: My question is to the Minister of Citizens’ Services. For some time now, we on this side of the House have been concerned about the government’s haste with selling public lands to meet their budget objectives. In fact, we raised these issues before the election. We raised the issues during the election and we’ve been raising them in this House ever since. So to the Minister of Citizens’ Services, who is responsible for this through Shared Services B.C. : what steps did he take to ensure that we got fair value for land sold by this government? Amrik Virk: Property sales are indeed part our government’s ongoing plan to release unused and surplus government properties and assets for new development. There are properties that are indeed surplus that are indeed unused. It’s in the best interests of the British Columbia’s public to re-use, to reinvest that in education, to reinvest that in health. This province is absolutely committed to ensure we get the best value for the land that we sell. John Horgan: Here I am agreeing that the government should get best value for properties that they sell. In the case of the Burke Mountain lands, recently sold for $85 million, that appears to not be the case. When we raised this issue, we asked for an evaluation of the properties, and we were told “We can’t have it.” We went through FOI, and we got redacted documents. But we now, with the efforts of the Privacy Commissioner, have access to the appraisal documents, which show that the Burke Mountain lands were appraised at $128 million and sold for $85 million. My question again to the Minister of Citizens’ Services: what possibly went wrong when we had $128 million worth of property, and to meet your single-year budget objectives, you sold them for $43 million less than they were worth? Amrik Virk: As I said before, it’s important to ensure that those surplus lands that we have in the assets of government be reassessed, be re-evaluated on a continual basis. We continue to re-evaluate and reassess those lands that we have, and we continue to ensure that we get the best value for the land that we sell. John Horgan: That border-lines on an outlandish answer to a fairly simple question. The government retained Equity Valuation and Consulting Services, as they should, to assess the value of public properties before they were disposed of. They must have paid a considerable sum for that evaluation. They got a 137-page report appraising the value of the Burke Mountain lands. They said, specifically, that to get maximum value for these properties, they should be exposed to the marketplace for six to nine months to get full market value. Even though they hired someone to do the valuation, got a detailed report about how to best maximize the public benefit from this sale, instead of having the properties out for six to nine months, they did it in three. They did it in three, and they gave them away at $43 million less than the appraised value. Again, to the Minister of Citizens’ Services, if I had something that was worth a whole lot of money, I certainly would not sell it for 33 percent less its value — particularly when it wasn’t mine, it was the people of British Columbia’s. Selina Robinson: The minister speaks of best value. Well, one parcel was given a market appraisal of $5.6 million and was sold for $100,000. Here’s another example of best value. Another parcel was given a market appraisal of $17.5 million and was sold for $6.9 million. Another parcel was given a market appraisal of $20.6 million and was sold for $13.9 million. To the Minister of Citizens’ Services, why did government ignore its own real estate expert and sell these lands for far below their actual market value? …To make matters worse, the Coquitlam school district will soon need to buy back some of these lands to build two new schools. So much for planning for the future. To the Minister of Citizens’ Services, why would government sell public lands to a developer and then force the school district to buy them back to build schools? Ms. Robinson’s points are important because this is a time when school districts around the province are denied money needed to maintain educational standards. Also, parents are told their children must attend schools that are not safe from earthquake damage because upgrades have been postponed yet again, for financial reasons. Christy Clark and her BC Liberal associates believe that enriching themselves and political friends is the most important job of government. In recent times, I have demonstrated that the public share of billions of dollars worth of natural resources extracted from these lands is negligible. If mining exploration tax credits are deducted from mining taxes, resource companies are paid to remove assets from the province. Additionally, companies like Teck and Imperial Metals, major financial supporters of the Liberals, buy electricity from BC Hydro at a fraction of what BC Hydro pays independent power producers, also Liberal contributors, for electricity. Liberals plan to bring Site C power on stream and, at the same time, they are negotiating electric power deals with the gas industry at prices less than half of what Site C power will cost. Residential consumers and small businesses will pay extra so foreign companies can be subsidized. BC Hydro has now deferred over $5 billion in costs. These expenditures, instead of being treated as expenses are deemed to be assets; assets a future government will write off at a future time. Except for the cost deferral, BC Hydro’s 2014 equity would have been in a deficit position of more than $1 billion. However, government didn’t want a deficit shown because that would have precluded transfers of borrowed monies from the utility to the provincial treasury. It is, of course, easier to pretend to balance a provincial budget than to actually balance it in real terms. Citizens of British Columbia today, and the next generation of this province, are being dispossessed by BC Liberals. This government has ethics equivalent to infamous nations that rank among the world’s most corrupt. Elections BC report $716,376 in contributions to BC Liberals by Hassan Khosrowshahi and associates. This listing may not be complete. This bit of skulduggery makes a 99 year lease look palatable and beyond reproach! The recent BC Fiscal Plan shows BC total provincial debt growing at over $2 billion per year for the next few years. This little bit of skulduggery does go beyond the norm. Perhaps Laila should update her '100 reasons to dump the Liberals'. Would probably be up to 200 by now. I guess if I'd followed the MSM I'd have known about these 'fire sales' and could have participated? The $5.6 million property for a $100,000 sounds like a real steal! The NDP cannot give it legs. Discussions, questions and rants in the Legislature only are given legs when the media chose to do so. Even though there is a TV channel dedicated to the Legislature, the attention most of us give it is negligible. If Baldrey, Lynne or Palmer were to show anywhere near as much fervor toward our present governing party as they showed to our past governing party, Clark, Dejong, Bennett and Coleman would be embarking on a trade trip to China with no return tickets. Our BC Liberal government suffers from a disadvantage in this ratings game. If our news media were at least as inquisitive as those in the infamous nations, our government’s ethics would no doubt receive earned discredit were discredit is due, and be rated more than just equivalently corrupt. It has become obvious over time that Mr. Virk is one of “the chosen”. To believe that he and his actions or lack thereof, is the “problem” is erroneous. The problem lies squarely at the feet of the voters that dutifully trot out and elect those of his ilk. Therein lies the “problem”..
And trust me, if an Election were held tomorrow, those same people would march right out and reelect him again. I could have come up with $100, 000 for a $5.6 million piece of Metro Vancouver real estate had I known. I think a lot of people could have come up with $100K for a $5.6 million piece of property had they known. What did Clark know and when did she know it? Somethin's rotten 'round Burke Mountain when she comes (when she comes). Somethin's rotten 'round Burke Mountain when she comes, (when she comes). The sign above the entrance says “Court of Law”; inside and down the hall is a courtroom where a trial is under way; a witness is testifying in the prosecution of breach of trust charges; named as defendants are former government ministers and others associated with massive and evident malfeasance. The trial is years old, and $ millions have already been spent while lawyers argue client and cabinet privilege. Previously unknown defendants have already been found in contempt of court and new charges are expected. Outside on the a busy city street, people go about their business in a post-BC Liberal government province. Public opinion is ambivalent as this latest scandal slowly wends through the justice system: much of the BC Liberal malfeasance will never be recovered, but many hope this trial will deter future governments from sabotaging the public weal to reward partisan support. A transit commuter idly scans a newspaper a man is reading across the aisle. “Minister feels vindicated as media giant appeals defamation conviction”, and below that, amid bid-tender notices, an ad for “Regional Director”, apply to the new Ministry of Parks. On the corner a group of students walks past a grey-bearded panhandler. WestBild paid $43 million less than what was assessed and now they'll get another $43 million paid by the new Homeowners. $86 million profit. Not bad for a $1 million investment by bankrolling simpletons: the BC Liberal Party over ten years. The sale of the old Expo lands during our own (Grace) McCarthy era, had to have been a dry run. A rehearsal for the big show that was to follow over the next 3 decades. It ran so smoothly why should anything change? As I recall, the Expo lands were sold to Mr Li Ka-shing at fire sale prices and the taxpayers had to pay to remediate the once industrial lands. Mr Ka-shing later sold off a small portion of that land to recoup his out of pocket expenditure. It has been clear sailing ever since. Gentlemen, we have a mountain for you. This land is in Coquitlam and its development will create huge traffic challenges for PoCo.It is something that New Westminster has to contend with, where large volumes of traffic flow through the community without any benefit to New West….only costs. If you really meant the Mayor of Port Coquitlam, he was a long time member of the BC Liberal Party, and like them he is all about self promotion. If you actually meant the Mayor of Coquitlam, he is a former Liberal MLA. Land sales are just the latest. BC Hydro Run Of River scam. BC Rail. Raw logs shipped offshore. Temporary foreign workers. PPP's. LNG fantasy. It's a long list and growing longer by the day. Reminiscent of Russian privatisation schemes in the 1990's…and we now know how that went down; not even scraps left for the public from whom the assets were stripped…all designed to enrich favoured individuals. This will not be an issue come election time . I went over this article 3 times and i didn`t see one mention of dirty evil unions , memo to file or fast ferries. What is there for the lamestream media to regurgitate ad nauseam come election time ? 'Tis tough for the voters to open their eyes when certain fine folks around here are strapping barbells to their upper lids. Case in point, compare the job that Norm has done here with that of, say, Mr. Palmer and his latest piece in the VSun. The revenue potential for Hassan Khosrowshahi's purchase is about $2 million per acre. If the combined sites equal 370 acres, as suggested by the company, that would be $740 million. Even with servicing cost. there is a very handsome profit to be earned. Considering the terminus of the new Evergreen Line is just a few kilometres away from these lands, we could say that Khosrowshahi is involved in “value capture.” Taxpayers spend hundreds of millions on transit and the developer captures the value created by the expenditure. It's a perversion of the suggested methodology whereby taxpayers might use elevated land values to finance transit. I've said all along we deserve first place, ahead of Quebec. NOW will you agree? I wonder if WestBild paid the Property Acquisition tax? Clearly, with the BC Liberals, one gets what one pays for. Indeed. Too bad they always get it from us. Some have been wondering what it will actually take to “throw the bums out”. In my opinion it will never happen. Crims know their victims better than the victims know themselves. Call it their version of risk mitigation, lol. They know what they are potentially up against and they fear not. And it's not because of voter apathy, either. They have that base covered. Have you ever seen a herd of sheep attack its shepherd under any circumstances??? That's what it really boils down to here. DRI Capital is the division of Persis that derives its income from drug royalties. Hopefully none of its royalty stream was impacted by those drug researchers fired by the BC Liberal government. Prior to this purchase Wesbild had already purchased some 400 acres of land on Burke Mountain from the provincial government and started major residential construction in 2007. When looking at the overhead map of the land available for sale the question of who owns the land bordering these parcels comes to mind. For example, if a developer other than Wesbild was interested in one or two of the parcels, would it find itself in a situation where access routes to the land would have to be negotiated with Wesbild, and would that impact the market value? In one of his explanations for how this sale proceeded, Mr. Virk said the fact that Wesbild was the only one to put in a bid for all 14 parcels was the deciding factor in awarding the sale and the sale prices attributed to the individual parcels ($100,000, etc. ), were assigned after the fact. He hasn’t said that the lump sum bid by Wesbild was higher than any cumulative combination of the other bids, or whether all parcels attracted bids from any bidder other than Wesbild. Only that Wesbild’s was “close” to the assessed value. Very curious. Finance Minister de Jong stated categorically in his budget announcements that key to the election-promised 2013/14 balanced budget was the sale of crown assets. Now, would making that public announcement and timing this sale so that it closed in the last month of the fiscal year at issue impair or enhance the government’s negotiating position with developers? If you knew someone selling something you wanted was desperate to sell immediately would you offer more, or less? Before a surveyors stake is driven in the ground Wesbild will likely have already gotten it's investment back from the sale of timber. Timber that will be a raw log export no doubt. Intent, criminal or civil, has to be proven. The obvious answer is the ” linkage” between the donations of political supporters, and the various transactions in question. To “prove” that the linkage exists, is another matter. Are these transactions at “arms length”? Or are they in someway, being “obscured” as to be hidden from public scrutiny. The short answer is, “we'll never know” for sure. I have a difficult time believing we are living in a “democratic” society. The form of governance we are seeing in BC, is bordering on a criminal totalitarian regime. Taxpayers have a right, to fair value and integrity in their governing institutions. If “organized crime”, has found its way into BC politics, then the checks and balances that oversee this “form of governance”, are no longer in place, or being “subverted” by “group” intent on manipulating the wealth of the taxpayers, and using a political party as a “legal” front, to accomplish those aims. Sounds like a “criminal” scheme to me. At the very least, white collar criminal behavior. Solution?..hmm…any legal suggestions? How about a complaint the the RCMP corruption squad or “white collar”crime unit. I'm not holding my breath on that one….. Under section 47, it is a criminal offence for two or more bidders, in response to a call or request for bids or tenders, to agree that one party will refrain from bidding, withdraw a submitted bid, or to agree among themselves on bids submitted, without informing the person calling for the bids of this agreement. Penalties for bid-rigging include a fine in the discretion of the court and/or a prison sentence of up to 14 years. Lew's comment above would lead one to believe that an investigation into the bidding process for the lands in question, is warranted by the Competition bureau. This is a very interesting situation. “Political involvement” in this form of “private “transaction can only be construed as “interference” in a legal bidding process. Again, without a “formal investigation”, and the scrutiny of appropriate documentation and/or formal testimony from “all the parties” involved, will taxpayers be able to receive a better understanding of why a “public asset” was sold to a “private developer” for only two thirds of its perceived actual value. That “understanding” may indeed open the doors further, into the how and why, political parties can be used as “fronts” for the manipulation of taxpayer dollars and public assets. Perhaps the time has come to evaluate the operation of “any political party”, and its “relationships” with, donors, lobbyists and political insiders. These “relationships”, appear to be the “focal point” of subversive behavior, within our democratic system. No. No. Nothing devious 'n' underhanded goin' on here folks. Move along. Keep it moving. There just has to be a couple of ministerial aids, some lobbyists, a minister of finance, and chief of staff involved in this. Oh yeah – and a premier dangling at arm's-length. I was wondering if Amrick Virk is related to the Virk of B.C.Rail fame…..anyone got a spare 6 million to get rid of him? Thanks to Norm's MLA/MP link, I have written my (BC Christy) MLA, John Martin. I encourage others to take the extra few minutes to write to their MLAs/MPs on various issues. You have no doubt heard this week's news about the sale of Burke Mountain crown land to a prolific donor to the BC Liberals, Hassan Khosrowshahi. I am wondering what are your views on well-heeled businessmen or corporations, who make large donations (subsidized by Joe and Mary taxpayer, who underwrite the tax credits) and therefor expect favourable treatment by the government? You can include union donations here as well. Also, what are your views on paid lobbyists, who attempt to influence government? Hey, it worked with BCR.